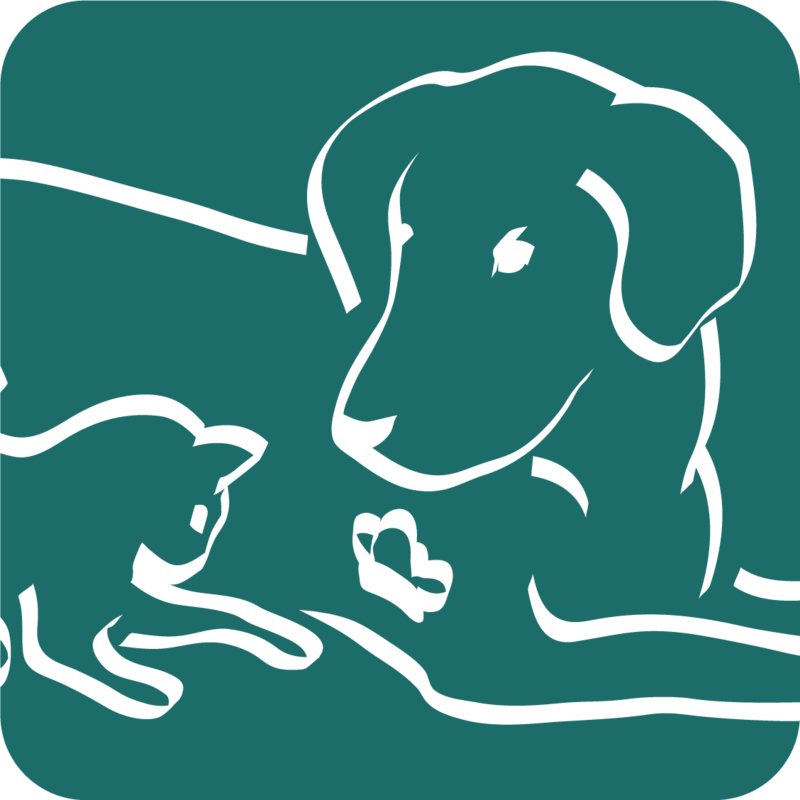 Dr. Wittke is a Certified Veterinary Acupuncturist through the Chi Institute of Traditional Chinese Veterinary Medicine. He is also an avid endorser of alternative and integrative medicine. The ancient Chinese approach of acupuncture can be used towards many medical problems including pain, immune deficiency, internal organ dysfunction, and muscular issues. His continuing education continues to broaden the scope of alternatives for treatment of each individual patient. Acupuncture is a method of encouraging the body to heal itself and improve function naturally. This is done by inserting needles, applying heat, giving injections, or electrical stimulation at very precise acupuncture points. Acupuncture helps the body to heal itself through natural means by increasing local circulation, causing a release of various neurotransmitters and neurohormones as well as endorphins and serotonin, and stimulating or sedating the central nervous system. 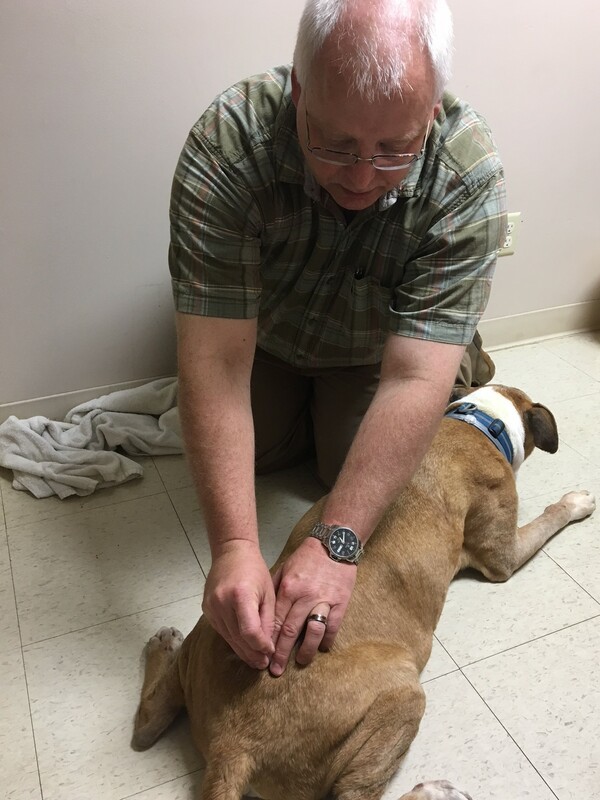 At Battle Ground Veterinary Clinic, we perform traditional acupuncture, electroacupuncture, and injection of Vitamin B12 into acupuncture points. The meridians can be influenced by needling the acupuncture points; the acupuncture needles unblock the obstructions at the dams and reestablish the regular flow through the meridians. Acupuncture treatments can therefore help the body's internal organs to correct imbalances in their digestion, absorption, and energy production activities as well as the circulation of their energy through the meridians. The modern scientific explanation is that needling the acupuncture points stimulates the nervous system to release chemicals in the muscles, spinal cord, and brain. These chemicals will either change the experience of pain or will trigger the release of other chemicals and hormones which influence the body's own internal regulating system. The improved energy and biochemical balance produced by acupuncture results in stimulating the body's natural healing abilities and promoting physical and emotional well-being. How Long Does Acupuncture Take for Effect? The longer a problem has been present, the longer acupuncture takes for effect. For example, acute conditions usually respond faster to acupuncture because the body has not had time to make chronic changes. Generally, we recommend 3-10 treatments 5-7 days apart initially to determine how your pet will respond to acupuncture. Some chronic problems may require treatments every 1-3 months as a maintenance therapy. In general, no! 95% of patients who undergo acupuncture are comfortable. Some of our patients even fall asleep! 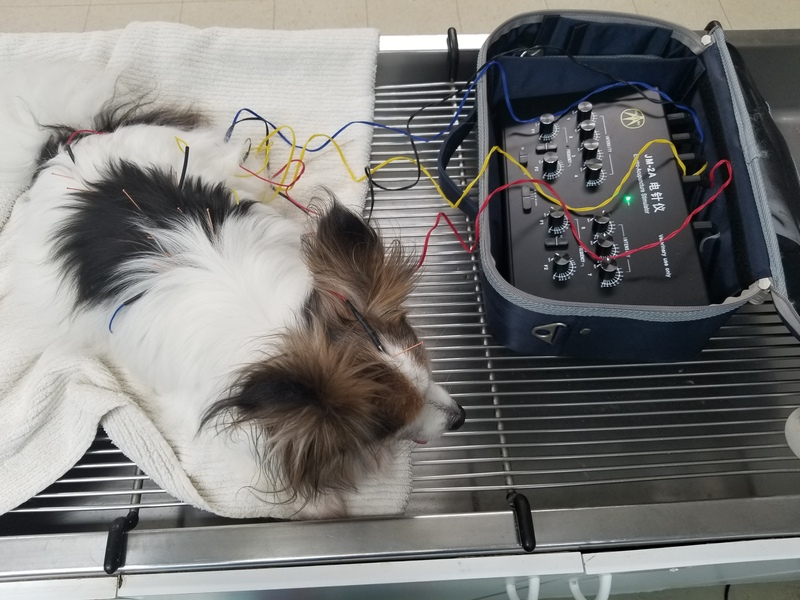 While some patients may have certain areas that are more sensitive than others, most pets will look forward to treatments after the initial 1-2 sessions. Usually not. As energy is redirected in the body, internal chemicals and hormones are stimulated and healing begins! Occasionally, the original symptoms worsen for a few days or other general changes in appetite, sleep, bowel or urination patterns, or emotional state may be triggered. These should not cause concern, as they are simply indications that the acupuncture is starting to work. It is quite common with the first one or two treatments to have a sensation of deep relaxation or even mild disorientation immediately following the treatment. These pass within a short time and never require anything more than a bit of rest to overcome. The first consultation appointment lasts 30-90 minutes depending on if a treatment is performed. Routine acupuncture treatments take 30-60 minutes depending on the problem, technique used, and the patient. Animals may be dropped off for the day for treatment for an additional $12 kennel fee.